Combine butter, ½ cup powdered sugar, salt, flour, cinnamon, nutmeg, and ground almonds to form your dough. Roll into 1-inch balls. Bake for 8 minutes, until golden on the bottom. 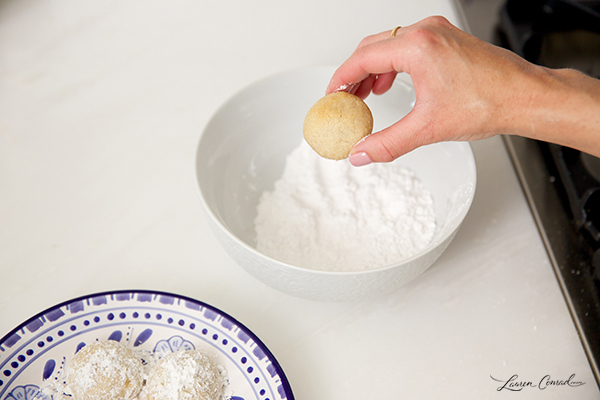 Let the cookies cool for a few minutes only, and then toss in the remaining ¾ cup powdered sugar. You want the cookies to still be warm, or the sugar will not stick. Voila! Simple to make, but so delicious. 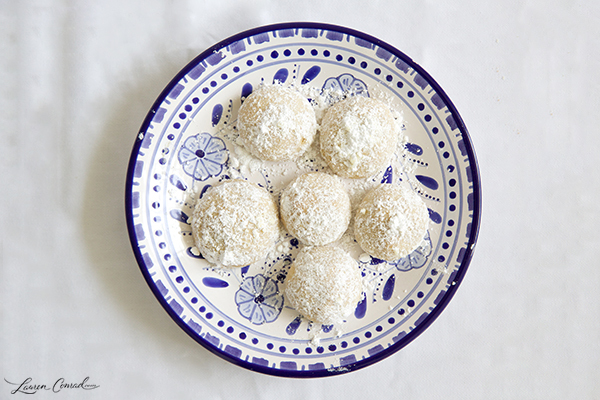 For a real treat, serve with a cup of Mexican hot cocoa or a scoop of vanilla ice cream. 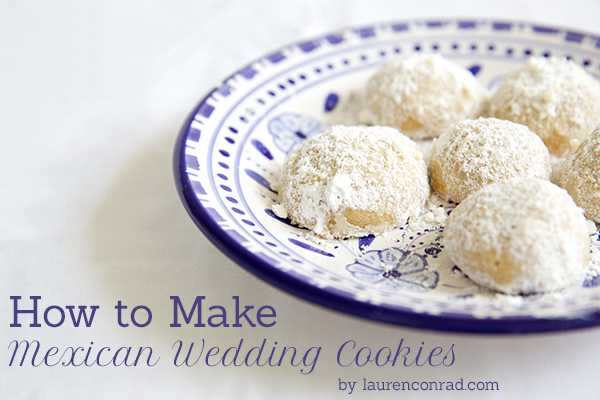 Have you ever had a Mexican wedding cookie? 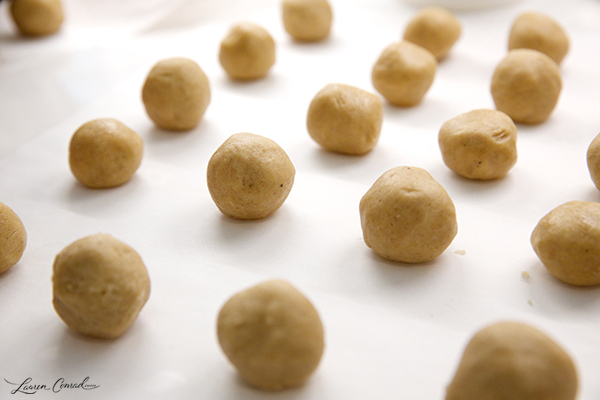 What’s your favorite type of cookie to bake?